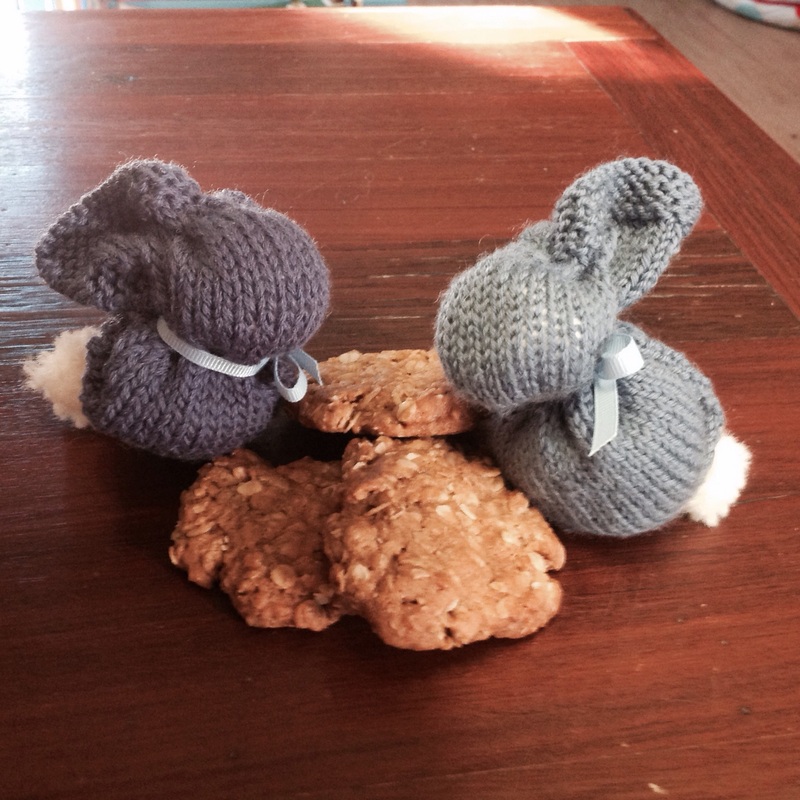 Sick days, Anzac biscuits and fuzzy bunnies. My little man is having his first ever sick day and I think he is enjoying it too much. I keep encouraging naps, (mainly for me) and he keeps wanting to play FIFA 15. I feel bad because I am 99% sure he got it from me so I am letting him have a little fun. I don’t like my chances of getting him back to school tomorrow. So I had some quiet time yesterday, between taking care of paperwork, trying to shake my cold and mum duties to do some creative things. I felt like making some Anzac biscuits for the little man and have got this amazing recipe from Australian better homes and gardens magazine that has the origial recipe. What makes it for me is the distinct lack of desiccated coconut. I loathe desiccated coconut on anything but a lamington; lamingtons get a pass because they are just so good especially the cream ones. So I rejoiced in my new love of Anzac bikkies and whipped up a batch. Anyway, today my little man and I are slugged out on the couch, two poodles snoring beside me, and I am relishing the opportunity to snuggle down with a six year old boy, who not too far in the future won’t want to be hugged and smothered by me anymore.